Best of Houzz 2016, 2017, 2018 & 2019! Accredited Professional Home Staging. Now is the time to get your Cleveland Area home ready to sell! Contrary to the logical & practical decision most buyers believe they are making, purchasing a home is very much an emotional decision. Home staging is about knowing why & what people buy. The experts at Staged By L create a sense of lifestyle & warmth that make buyers want to live there. We help create that emotional connection with the home! With nearly 30 years of real estate experience in the Cleveland area including property investment, property management & staging, Laura Fulton knows what it takes to get houses sold in any market. It's not easy having your house on the market! So make sure it's the shortest time possible - STAGE® IT! Services From completing a full staging of your vacant property using our custom select furniture & accessories, to de-cluttering & staging your home with your existing furniture & our accessories, to providing a professional recommendation of changes you can implement yourself – Staged By L offers services to bring out your home’s true potential. We also offer Home Organizing Services to help you conquer the clutter in your home &/or help you get it ready to go on the market. Areas Served Staged By L services the greater Cleveland Area including Lake. Cuyahoga. & Geauga County. Professional Home Staging is becoming the standard for realtors and sellers looking for the advantage in getting their home sold quickly at the highest possible price. Homes Aglow will assist you in taking the necessary steps to make your home stand out from the competition and sell. Whether you are Decorating to Dwell or Staging to Sell, we are so pleased you found us! We exist to take the stress out of any Decorating or Staging project. Our services are ideal for Homeowners, Renters, Realtors, Real Estate Investors, Rehabbers and Flippers. Staged to Sell Homes & Remodeling, Ltd.
Lisa Ciofani Basham leads a top-performing home staging company which engages buyers and sells your home faster and for TOP DOLLAR. Since 1984, Lisa has been involved in the real estate market in one facet or another. Be it, selling as a Realtor, building as a partner in a building company, rehabbing homes to flip, or helping others to do so. She founded Staged to SELL Homes & Remodeling in 2007. • In staging homes she first imagines who is going to live in the home, and then creates an environment to appeal to their lifestyle while complimenting the existing style of the home. The company has warehouse space central to the Cleveland, Ohio highway system that is overflowing with beautiful furniture, artwork, rugs, lighting, plants, and accessories. Lisa and her team are constantly perusing auctions and showrooms, adding extraordinary pieces to their inventory. The company also redesigns and re-purposes furniture. Make your home stand apart from the competition with home staging, and you’ll enjoy the benefit of a quicker sale. !!! Best of Houzz 2014, 2015, 2016, and 2017!!! for customer satisfaction !!! 'STAGING' is what takes place AFTER you have cleaned, de-cluttered, painted, and re-placed....it is about dressing the house for sale! Selling a house is a bit like romance. It pays to set the mood. That is called 'staging' or simply showcasing the best features of your home and down playing any of it's shortcomings. I offer independent staging services that range from consulting on what needs to be done to your space-to actual hands-on staging...link to my website for details at www.stageyourhomebyjanice.com. DesAnn is a Designer, Home Stager, Decorator, Color Expert, Master Trainer, Public Speaker and more. Often seen on FOX8, Ch.5, WKYC, Cleveland Home & Garden Show, Plain Dealer & others. We have had 97 Homes SELL IN ONE WEEK right here in northern Ohio! 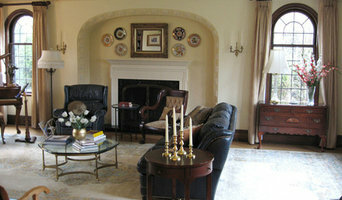 I am a Home Stager/ Redesigner . Whether it's selling your home or rearranging it I can help.I try to use what the home owner already has. I can rearrange pictures, furniture and accessories to give each room a new look. I have decorated everything from a 2 million dollar home to a $100,000 home. Every space can be beautiful . I'm also available for holiday decorating. I charge a flat rate of $50 per hour. I can do everything from paint selection to shopping for decor. A full service home staging and redesign firm providing premier interior styling to market and sell a home quickly and for top dollar. We also provide full home or just room by room interior redesign to create a beautiful sanctuary that suits your lifestyle. Prior business was BEST OF HOUZZ 2014 & 2015 WINNER - Professional Staging for New and Existing Homes. 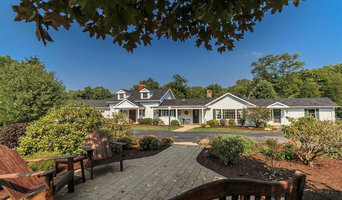 Homes "Staged Right" Sell Faster! In this market, condition is just as important as location. How can you make your property be more desirable? HOME STAGING! What is staging? Home Staging is preparing your home for sale to appeal to the greatest number of potential buyers. It’s about selling your most important investment for the most money in the shortest time on the market. Homes Staged Right can stage your vacant property with professionally selected furniture and accessories from its 6,000 sq.ft. of inventory. Or use your own furnishings and Joyce's professional experience to declutter and stage your home and increase its marketability. Joyce has received a Masters in Home Staging in an intensive course taught by the creator of home staging, Barb Schwarz. Barb invented home staging in the early 70's along with the Accredited Staging Professional (ASP®) designation, which is recognized by the National Association of Realtors®. This Masters Designation makes Joyce one of the most qualified staging professional in the area! We're on a mission elevate the Akron Real Estate community through heart-driven value, and inspiring, authentic design! We're here to help you sell your home for every penny it's worth and more, and we can't wait to meet you! 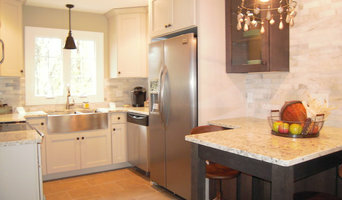 What does a Shaker Heights home stager do? 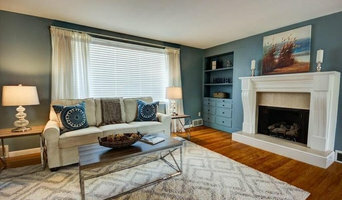 Home staging companies in Shaker Heights, OH employ a variety of different techniques to present the home in the best light possible. The first step will likely be to make sure the home is impeccably clean, including the exterior of the house. Next the home stager will work on removing the personal touches that are unique to the current owners. Paint colors might go from dramatic reds and purples to neutral tones like beige and taupe, in order to appeal to the masses. The home will likely be cleared of family photos, risqué artwork, collections and knickknacks, so potential buyers will be able to better envision their own life in the house. In some cases furniture will be swapped out, and you might not even recognize your own house. 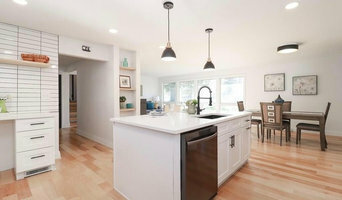 Some Shaker Heights home stagers tackle most of these tasks themselves, while others work with subcontractors and other professionals to get the job done. Here are some related professionals and vendors to complement the work of home stagers: Interior Designers & Decorators, Photographers, Real Estate Agents. The process of staging a home can be difficult for some homeowners, especially when being asked to change things you’ve poured your heart and soul into over the years; but try not to take anything personally, as the stager only has your best interest in mind and no intention of insulting your personal taste. Before you contact a professional home staging company in Shaker Heights, OH, make sure to consider a few things: Are you willing to change your home and take the advice of this professional to help sell your house? Do you think your house would greatly benefit from the help of a stager? How long are you comfortable having your home on the market? A staged home is likely to sell faster and, on occasion, at a higher asking price than a non-staged home. While there is no guarantee this will always be the case, it’s often true and can make the entire selling and moving process a lot less stressful in the long run. If you are selling through a real estate agent, it’s a good idea to get their opinion on whether staging your home would be beneficial to your specific situation. Find a certified Shaker Heights home stager on Houzz. Narrow your search in the Professionals section of the website to Shaker Heights, OH home stagers. You can also look through Shaker Heights, OH photos by style to find a room you like, then contact the professional who staged it.